Brad was born March 28, 1977. He was raised in a loving family with one brother and one sister. He has a dog named Clancy and loves both dogs and cats (and they love him !). Brad graduated from Edinboro University in Pennsylvania with a bachelor’s degree in communication. 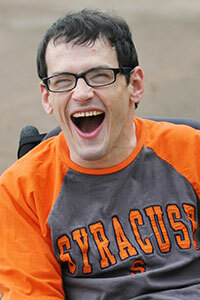 He became a member of the L’Arche Syracuse community on April 30, 2012. Brad desires to be as independent as possible, but requires assistance with most activities of daily living due to his cerebral palsy. He loves to tease and have a good time. Brad’s newest endeavour is wheelchair soccer. It was great to celebrate with you during L’Arche Syracuse’s 40th Anniversary, and it was moving to hear you express that friendships are what you appreciate most about being in L’Arche. 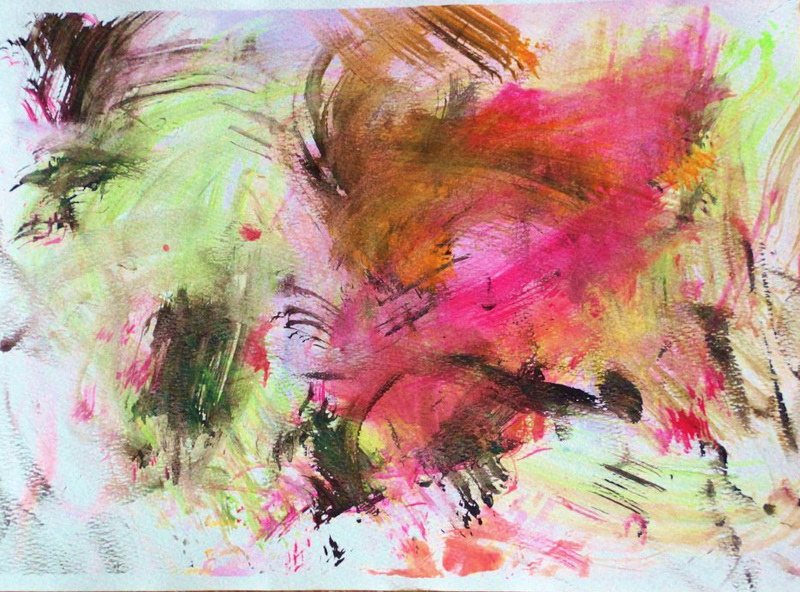 Wonderful abstract paintings. Great color and composition. If you can bare parting with your art, I’m sure it would sell quickly.